Whether you’re planning to build your dream home or simply want to renovate, using organic, natural, and eco-friendly building materials from reputable, trusted suppliers is a must for protecting your health from the plethora of toxic compounds found in conventional building supplies. 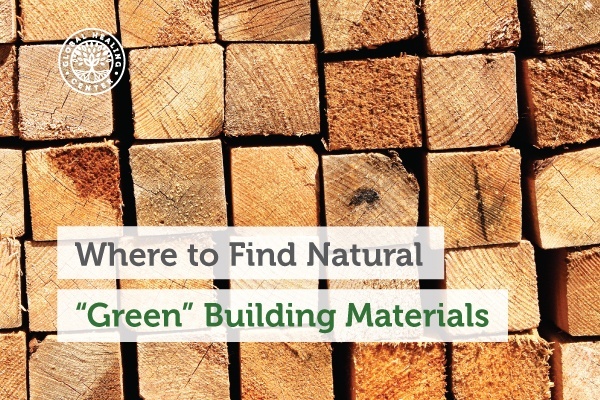 Here, we’ll take a look at some of the best options for organic building materials. Many building materials today contain toxins like formaldehyde, VOCs, and fire retardants, all of which disrupt hormone function and negatively affect you and your family’s health in a myriad of ways. While building materials don’t have the same organic certification process as food, it is possible to find paint, adhesives, and other materials made with organic or natural ingredients. Here’s a list of the most common building materials and suppliers you can trust. Also referred to as drywall, sheetrock is necessary for interior wall construction. 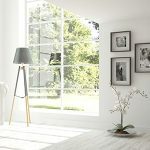 Finding natural and eco-friendly alternatives is a bit easier in this day and age, and many builders offer these options. The following is a list of options for natural sheetrock. EcoRock is made from 85% industrial byproducts, and it's 100% recyclable. Durra Panel is an eco-friendly sheetrock made from wheat or rice straw fibers; it contains no formaldehyde. JetBoard is a product made in Texas. 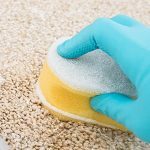 Glue and adhesive are necessary every step of the way when you’re building, yet some can release toxic fumes. The following is a list of the top-selling producers of natural adhesives. ChemLink is a solvent-free and VOC-compliant sealant that can safely construct a healthy indoor environment. Eco-Bond is an adhesive that has earned points from environmentalists and health advisors. CHAPCO Adhesives are eco-friendly and produce products that are low in toxic compounds. Whether you’re painting the outside of your house, your living room, or wooden furniture, you should always use lead-free, VOC-free, natural paint. The following is a list of suppliers to consider. ECOS Paints sells no odor, VOC-free paint for interior use. Auro offers petrochemical- and VOC-free products made with an organic linseed oil base. 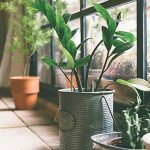 Green Planet Paints is an interior paint company that offers paint made with plant-based ingredients. Not only is grout used during construction, but it’s also used in the maintenance of buildings. Always look for grout that is low in VOCs (VOC-free is even better). The following are a few possible solutions. AccuColor Premium Unsanded Grout is a cement-based grout that’s VOC-free. StarQuartz Urethane Grout is an eco-friendly grout alternative made with non-toxic urethane. It’s low-odor, UV-stable, and ultra-low VOC. It also contains recycled materials. Sheetrock mud, also referred to as “drywall joint compound,” is used to seal joints or spaces between sheets of drywall. I’m only aware of one option available domestically; if anyone knows another brand, please leave a comment below. Murco is a quality brand that offers good products. Paint thinner is commonly tainted with chemicals, especially VOCs. The following is a list of reliable companies that offer healthier alternatives. Solvent-Free Paint thinner is made from 100% purified linseed oil. Real Milk Paint Company uses organic citrus solvents as a natural paint thinner. Eco-Solve is a non-toxic paint thinner made with soy. While caulking doesn’t typically present a dire health concern, the PCBs found in conventional caulking materials can be hazardous over time. The following is a list of options that are designed with health and safety in mind. SafeCoat Multi-Purpose Caulk is non-toxic and safe for the environment. Eco-Bond offers a 10-year mold-free guarantee and it’s low in VOCs. Most concrete sealants contain VOCs, which interfere with the immune system. The following is a list of the top VOC-free concrete sealants. SealGreen produces concrete sealants made with green ingredients. Duraseal Zero™ is produced with natural, EPA-approved ingredients; it's also VOC-free. Conkrete-Seal by AgraLife is a natural, VOC-free concrete sealant. Formaldehyde is a toxic poison that is commonly added to conventional ceiling tiles. The following is a supplier that offers better options. If anyone is aware of another company, please leave a comment below. Armstrong is one of the leaders in providing sustainable ceiling tiles for office buildings. The insulation in your home can go a long way in regulating temperature, controlling sound, and lowering energy costs. Natural insulation made from cotton, hemp, and natural elements is becoming increasingly common. The following is a list of options to consider for natural insulation. UltraTouch Recycled Denim Insulation uses scraps of material directly from denim manufacturers. Thermo-Hemp produces insulation made from 100% pesticide-free hemp. AirKrete is a cost-effective, natural insulation composed of air, water, and MGO (magnesium based) cement. Are you aware of an eco-friendly brand of natural building materials that I’ve missed? What measures have you taken in your home to utilize green building materials? Leave a comment below and share your thoughts with us.